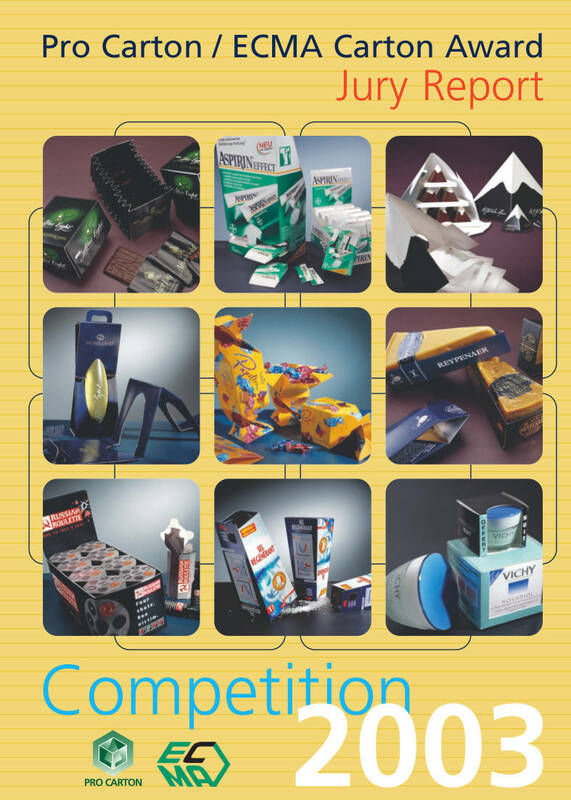 Pro Carton and ECMA, who jointly run the annual Carton Awards competition, were delighted that in 2003 the entry level exceeded all expectations. With the number of entries up by over 50%, it illustrates the support and importance that this competition has throughout Europe. In fact this year it is not only Europe. For the first time, following the establishment of a Pro Carton operation in New Zealand, we received entries from outside Europe and we hope, that with the start up of additional offices beyond Europe in 2003 that this will continue and grow. The categories in which the cartons were judged remained the same as in 2002. Confectionery, Pharmaceuticals, Cosmetics & Beauty, Beverages, all other food and all other non food. In addition a most innovative design or best new use of Cartonboard award and a Carton of the Year were awarded. In addition in 2003, the Judges asked to award a special prize to one entry which, whilst not fulfilling in total the rules of the Competition, nevertheless was felt to be outstanding. Once again by using the navigation bar of the left, you will be able to see not only the winners but also the finalists in each category and all the entries. The level of excellence again impressed the judges who commented that the confectionery category was especially strong this year. The variety of shapes, print quality, embossing and finishes illustrates clearly the huge and unending variety of packaging that can be achieved with Cartons so helping to attract consumers to the product by making packaging more eye catching. In addition to this the clarity of the print makes Cartons easier to recognise and also to read – two elements that are becoming increasingly important. We hope you enjoy looking tough these illustrations of excellence and if we can help with additional information please contact us using the link above.